Before chains like Walmart, Publix, Winn-Dixie and Whole Foods dominated the grocery business, these names once anchored shopping centers and street corners throughout our cities. Daylight Grocery employees in front of a store in Jacksonville in 1949. Courtesy of State Archives of Florida. Established by Israel Edwards and David Lasarow, the first Daylight Grocery opened in Downtown Jacksonville at 19 Main Street in 1928. 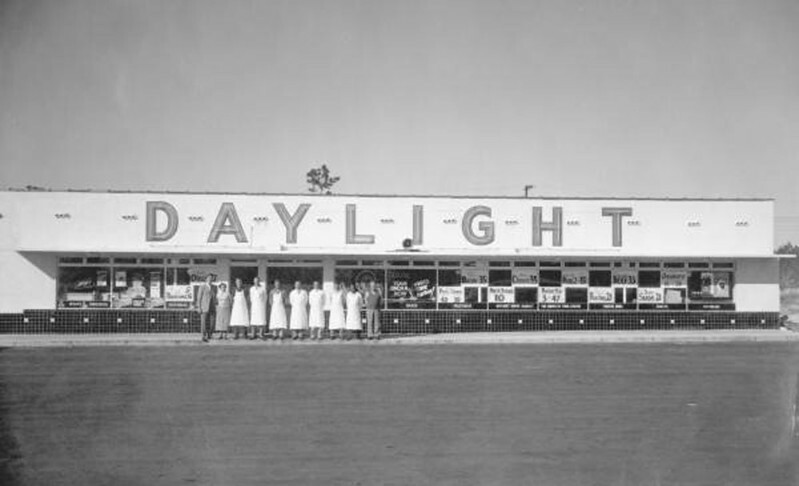 Despite being in the midst of the Great Depression, Daylight had expanded with a second location by 1931. By 1950, the grocery company grew into a 12-store regional chain, along with an office and warehouse along the Downtown Jacksonville waterfront. After decades of growth Daylight’s reach began to decline during the 1970s. By 1980, there were only four locations remaining. After nearly six decades of business, the last Daylight Grocery location at 1315 Kings Road in Jacksonville closed for good. 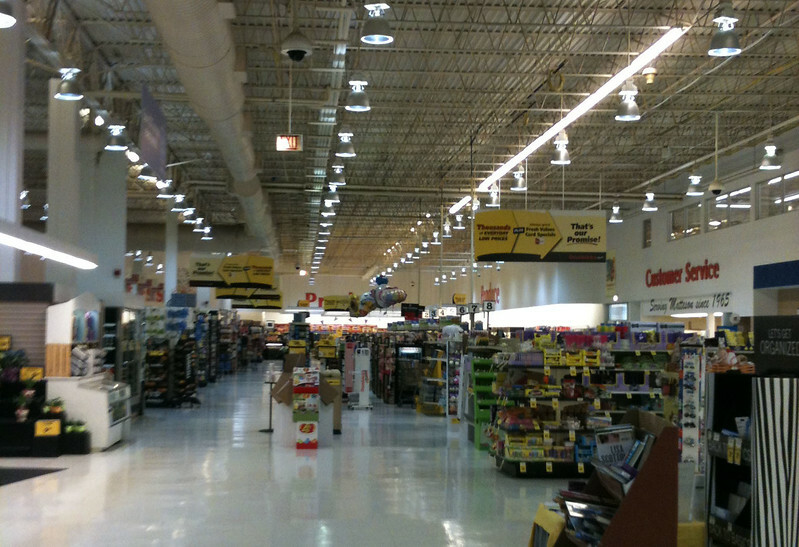 A 2012 interior image of a Dominick’s in Matteson, Illinois. Courtesy of Retaildesigner at Wikipedia. Dominick’s was a Chicago area chain that dated back to a store founded by Sicilian immigrant Dominick DiMatteo in 1918. Dominick’s first supermarket was a 14,000-square-foot store that opened in 1950. During the 1980s and early 1990s, the chain was one of the first to experiment with all ceiling sales areas being exposed to structural elements such as piping and HVAC ducts. In 1998, the 116 store chain was acquired by Safeway, becoming a subsidiary of the grocery giant. On December 28, 2013, Safeway closed its remaining 83 Dominick’s locations. Out of 72 stores available for sale, Mariano’s Fresh Market acquired 11, Jewel-Osco purchased 10 and Whole Foods bought seven. The remaining stores were purchased by smaller individual buyers or remain vacant to this day.